Preheat oven according to directions on crescent roll package. Unroll but leave intact 2 triangles of crescent rolls. Pinch seam together and cut lengthwise into 5 strips and then cross-wise to make 10 strips. 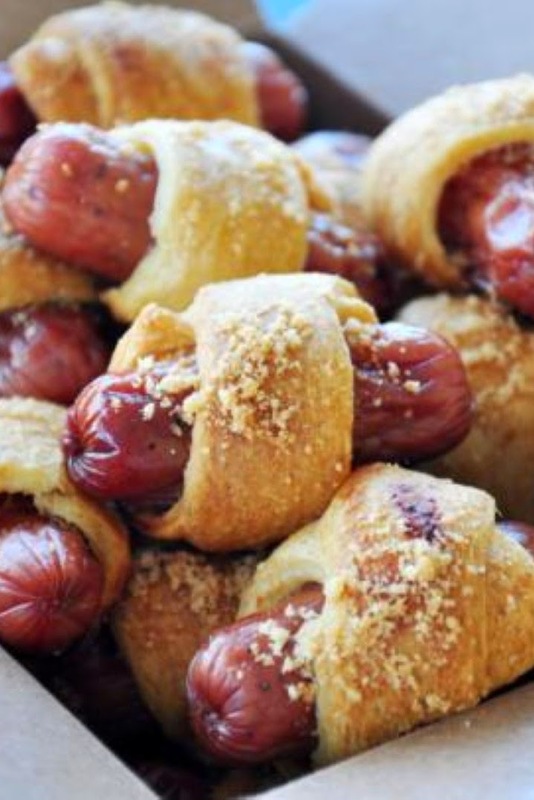 Roll each strip around one sausage and place in baking pan that has been sprayed with non-stick cooking oil. Sprinkle each pig with parmesan and garlic salt.